You are here: Home » News » Live at The Target… out now! 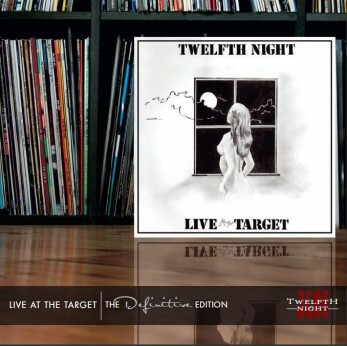 6.1.12 was the official release date for the definitive edition of Live at the Target. We’ve got plenty of copies available for immediate dispatch if you want one. They are £11 plus postage (which is £1 for the UK, £2 elsewhere). More details are available from our merch pages. Secondly as you probably know our gig at The Peel in Kingston, Live at the Target : Live at the Peel is now only a few days away, as it takes place on 14.01.12. Rehearsals have gone re-mark-ably well – even though we’ve only had one day with all of us together! On the night we will be playing 2 sets starting with the Live at the Target album (with a slight twist) followed by a selection of favourites from the 1981-1983 period. It should be a memorable night – for a variety of reasons – and we are delighted to say that our friend David Read is planning to film it for us for posterity! We plan to start the first set around 7:45pm and the second around 9:00pm. Doors open at 7:00pm. Advance ticket sales have been very strong according to the promoter – but there are still plenty available – so why not reserve your tickets today? *These are original 1980’s pressings carefully stored in Brian’s garage all these years for just such an occasion! About half-a-dozen of them have sleeves signed by all 4 of us at the time. As we realise many of you might be interested in the main auction items, and as we wouldn’t want to prevent you from having the chance to own a little bit of ‘TN’ history – we are happy to invite bids from any of you who are unable to get to the show. To do this you will need to contact Brian with your maximum bid by midnight on Friday 13th January. Geoff’s home-made CND T-shirt as pictured on the Reading Rock 83 DVD cover – kindly donated by Brian Devoil and Andy Welsh. A copy of Play On signed by Andy Sears, Rev, Brian, Clive, Mark, Dean, Jane Mann, and author Andrew Wild. Again we will reserve 2 copies for the on-line auction.